Learning at Washington Academy is highly individualized. The Academy offers a variety of courses at different difficulty levels so that everyone can reach their potential - college and university classes along with Advanced Placement (AP) courses for fast learners, a rigorous and challenging core curriculum, and fundamental courses for students who struggle a little more than their peers. 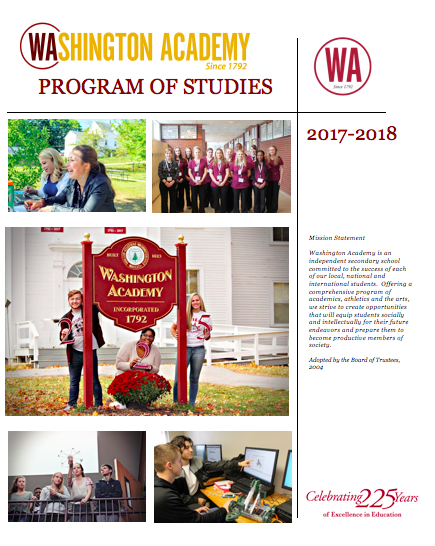 Washington Academy's Program of Studies includes descriptions of specific classes. The Academy reserves the right to adjust offerings and requirements at any time during the school year.